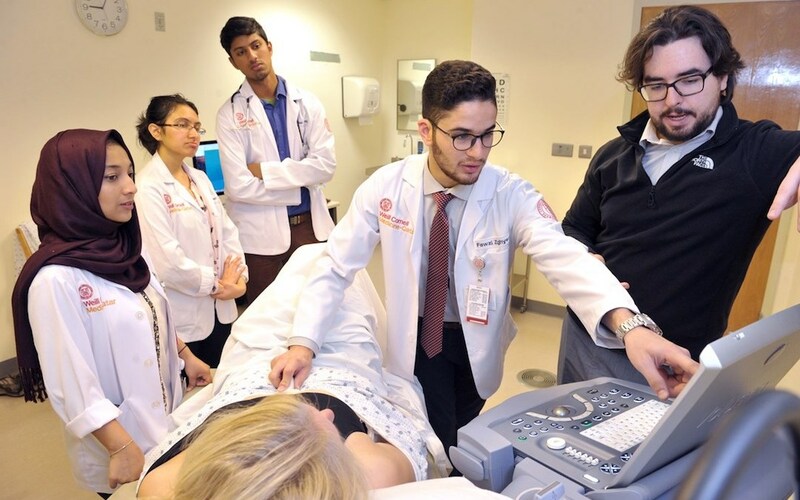 Weill Cornell Medicine-Qatar (WCM-Q) will launch its Transition to Residency course for medical students in spring 2020. In this week’s IGHPE blog, we asked Dr. Grigory Ostrovskiy, Assistant Professor of Emergency Medicine and Transition To Residency Elective Director at WCM-Q about his experience offering this course as an pilot elective over the past two years and what he hopes the obligatory course will offer students as they prepare for the ‘real world’. How long has the Transition to Residency (TTR) course been offered at WCM-Q? The TTR course will be offered for the first time in the spring of 2020 for the graduating class of 2020. Weill Cornell Medicine in New York implemented their version of the TTR a couple of years ago. The plan was always to implement it in WCM-Q in 2020, but I believed that it was best to pilot as much of the curriculum as possible prior to 2020. To do this, we offered it as an elective in 2017 and 2018. Can you explain the purpose of the course? Why was it established? The purpose of this course is to help prepare graduating students for residency. Incoming interns often feel some anxiety related to their new roles and certain skills that they may have forgotten a bit of over the course of their fourth year of medical school. The TTR is meant to be a refresher of some clinical skills and knowledge, but also a (re)introduction of some communication-based skills. A lot of our students will be starting their first jobs in a place very different from where they grew up, so we also focus on some life skills (managing money, paying taxes, staying healthy in residency), as well as resilience (mental health, substance abuse). While the TTR teaches some practical skills (how to obtain an ECG, how to start an IV, how to read a chest X-ray), we also teach some things that are typically not taught in medical school but are assumed students somehow learn (how to manage your money, how mentorship works, how to stay healthy), or some topics that for various reasons our students may be less familiar with than their US peers (how to address trans gender patients for example). Have you collected any feedback on the impact of the course? Yes, the feedback has been overwhelmingly positive. Students report that it eased a lot of their anxiety about starting residency. Are there any plans to expand the course in the future? Of course, continuous quality improvement will be necessary. Starting in 2020 the TTR will have a refresher clinical component (where the students will round for a week in their chosen specialty to get back into that “head space” after 4th year). We will also start longitudinal tracking and try to reach out to recent grads around halfway through their intern year to get the feedback on how well the TTR has prepared them.